Odds makers have released the latest odds for the Super Bowl. 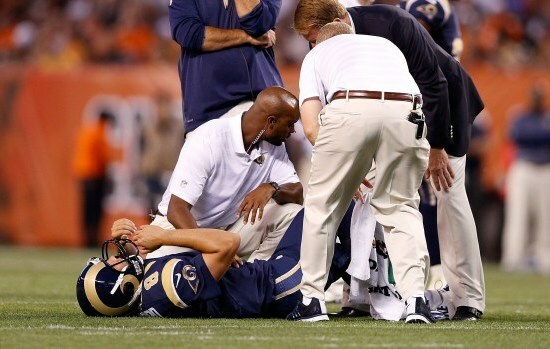 The ACL injury to Sam Bradford the St. Louis Rams starting quarterback proved how valuable he was to the Rams as their price nearly doubled when word was released he would miss the entire season. Bradford was not even a year removed from an ACL tear he suffered October 20 of last year with the same knee, when he blew out the knee again on Saturday against the Cleveland Browns. St. Louis had hoped to contend in the tough NFC West, but now likely will end up in fourth in the division. In response to his injury, Bovada, topbet and other bookmakers adjusted the odds for St. Louis to win the Super Bowl from 40 to 1 to 75 to 1. For their opener of the season versus Minnesota, St. Louis is only a 3.5-point favorite after the line was originally -6 in their favor. Odd makers also adjusted the wins total for St. Louis by moving it down from 7.5 to 6.5. Bradford’s significance cannot be overstated. Since 2012, the year Jeff Fisher took the reigns as head coach, Bradford has started 23 games, of which 8 were against NFC West opponents. In this 8 games, the Rams were 5-2-1 SU and 6-2 ATS. Eight games are not that many to compare by, but the strength of the opponents is enough to say the Rams were amongst a dark horse for the Super Bowl. Shaun Hill will take over for Bradford. However, he has started just 26 games in the NFL in his career, which is not many to gain experience from. 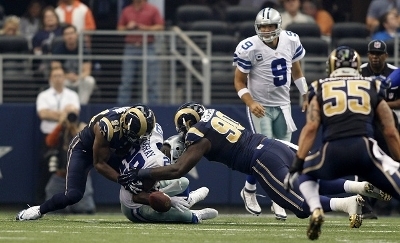 The Rams likely will go back to the ground game to run time off the clock. With their strong defense, the games this season with St. Louis could be very low scoring. The last time the Rams lost Bradford to an ACL tear, the team was 4-5 SU and 5-4 ATS with Kellen Clemens at quarterback. However, against the NFC West during that period the Rams were 0-4 SU as well as 1-3 ATS.